After winding up the final threads of the Resilients project and submitting our last piece of spreadsheet art to the EC, Nik and I departed on a field trip to Burma (Myanmar). The primary aim of our trip was to attend the YGL Alumni Summit and the World Economic Forum on East Asia – grandiosely entitled "Courageous Transformation for Inclusion and Integration." But on the way we also had the chance to experience social and cultural resilience in some very different contexts. In Yangon, the former capital of Burma, we absorbed the all-pervasive traces of Theravada Buddhism, not only in such places as the Mahasi Sasana Yeiktha Meditation Centre and the Sittagu Academy, but also on the streets, in the kitchen and in conversations. The conversation that will echo in our minds the longest took place in Nay Pyi Taw, the surreal and eerily empty capital of Burma, where we had the privilege of spending an hour with Aung San Suu Kyi. She insists she doesn't want to be seen as a saint, but it did feel awe inspiring to be in the presence of her warm and calming energy. I was touched by her humility, humour and gentleness, especially in view of her long ordeals during the last traumatic decades. Her words embodied the Buddhist four "sublime attitudes" (brahmavihāra), while being so simple and down-to-earth. 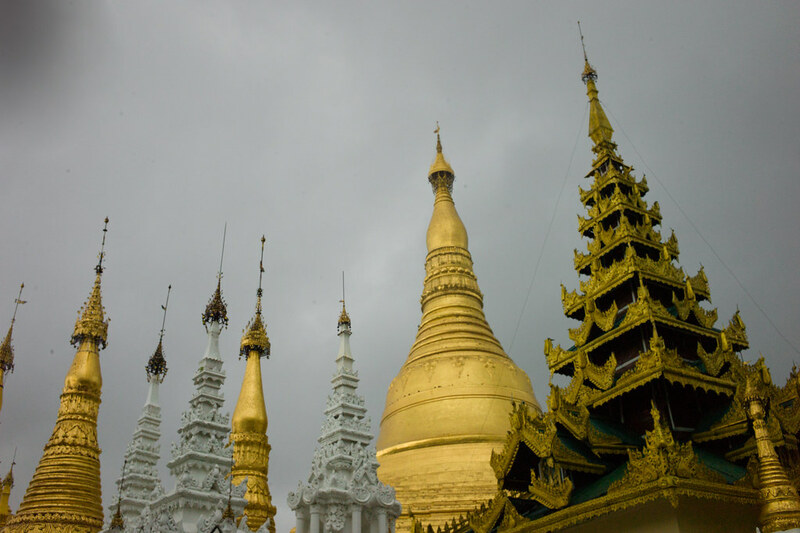 The Burmese Nobel Prize winner shares brahmavihāra with the rest of her people, who radiate these qualities in regular pilgrimages to the Shwedagon Pagoda, Bagan, and other sites of worship. On our visit to the pagoda we learned about the wide range of rituals performed throughout the culture on a daily basis. 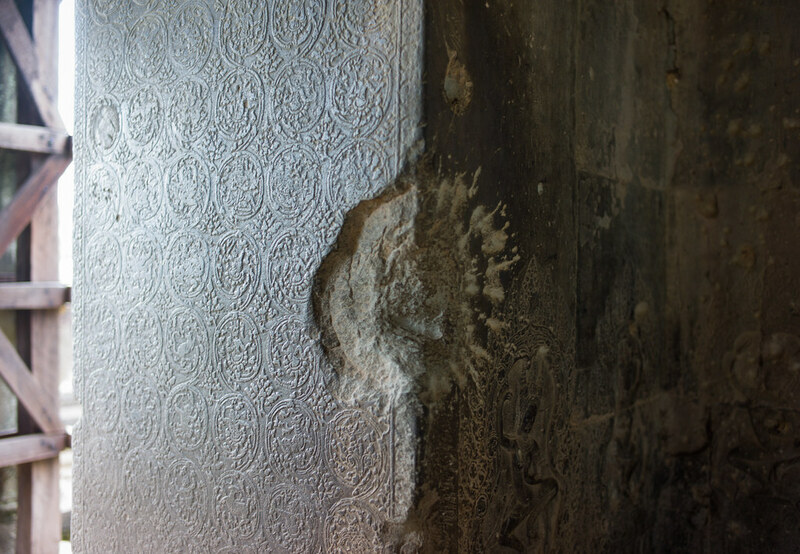 We were blinded by the pagoda's brilliantly radiant surface, made up of layer upon layer of generous offerings given over the years: more than sixty tons of gold leaf, diamonds and jewellery. We found the resilience of these religious institutions (experienced at the Spirituality and Leadership YGL impact journey) complemented by the Buddhist quality of samatha or emotional quiescence, emerging in such unexpected places as the hushed decay of the Secretariat building (the proposed home for a contemporary art and heritage centre), or the balanced taste of the lahpet thohk (tea leaf salad). Delicious. One of the core themes of this year's YGL Summit and World Economic Forum was "Scaling Regional Solutions for Global Resilience." 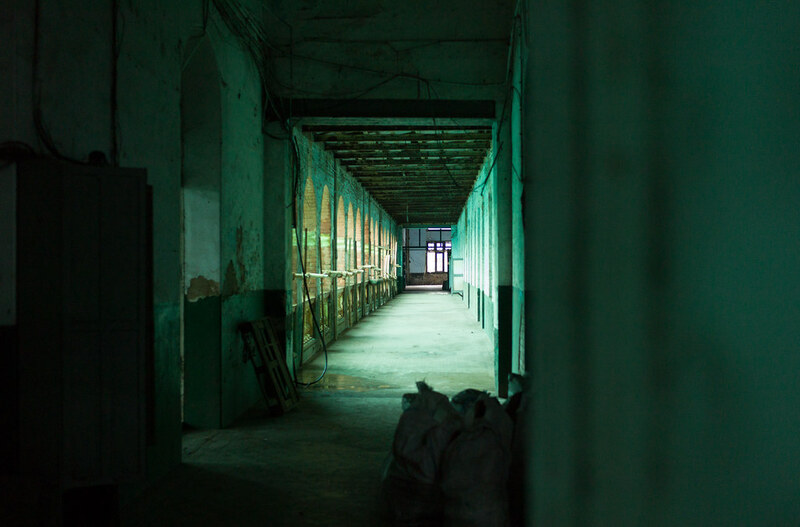 As these kinds of "big themes" often surface in FoAM's own speculative and poetic writings, we were curious to see how they would be addressed in the context of the World Economic Forum and Myanmar in particular. It came as no surprise that there wasn't much poetry involved, but during the summit we became more aware of the scope of the changes and challenges that the region is facing. Although many of the public sessions of the Forum seemed merely to be rehashing the hollow promises of market capitalism, the YGL Alumni summit was a much more enriching experience. Each time I met with my fellow YGLs in the years since I became a Young Global Leader in 2006, a few unfamiliar worldviews would materialise on the horizon. I've had my reality bubble popped a few times, whether by a prince cooking a vegetarian meal for me, talking about compassionate capitalism with the CEO of a multinational, or discussing public responsibility with conservative politicians. Over the years the YGL group has kept me on my toes. I became an Alumnus in 2011, but for various reasons couldn't engage with the group until this year. Arriving in Yangon, I was very much looking forward to seeing familiar faces and continuing the conversations with the YGLs I've come to know well and care about in the last seven years, including Penny Low, James Kondo, Hrund Gunnsteinsdottir, Kumi Fujisawa, Brian Behlendorf, Adrian Cheok and many others. I found several people with whom I could share my excitement and uncertainty about being in a phase of major life transition: some are making ambitious career changes, others are on a quest for a new work-life balance or leaving a prestigious job to pursue things they truly care about – something that may have been unimaginable just a few years earlier. 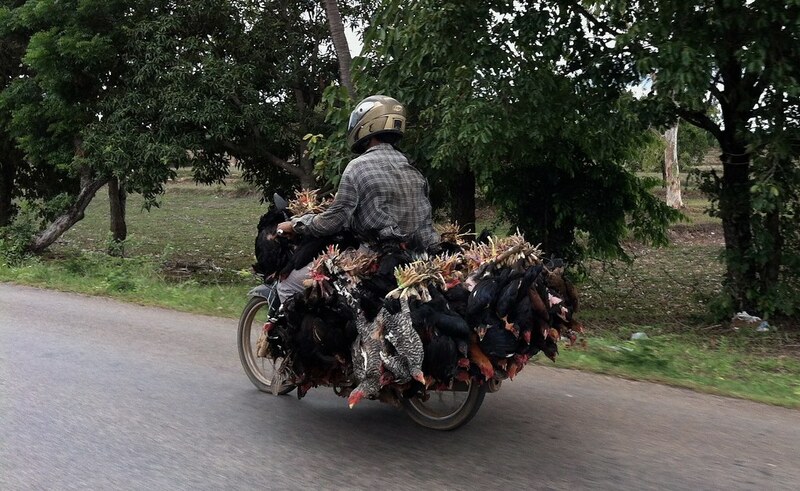 We departed Burma full of impressions (and a few stomach bugs) and flew a few hundred kilometres to the east (travelling overland seemed impossible in the short time we had at our disposal) to Siem Reap, Cambodia. 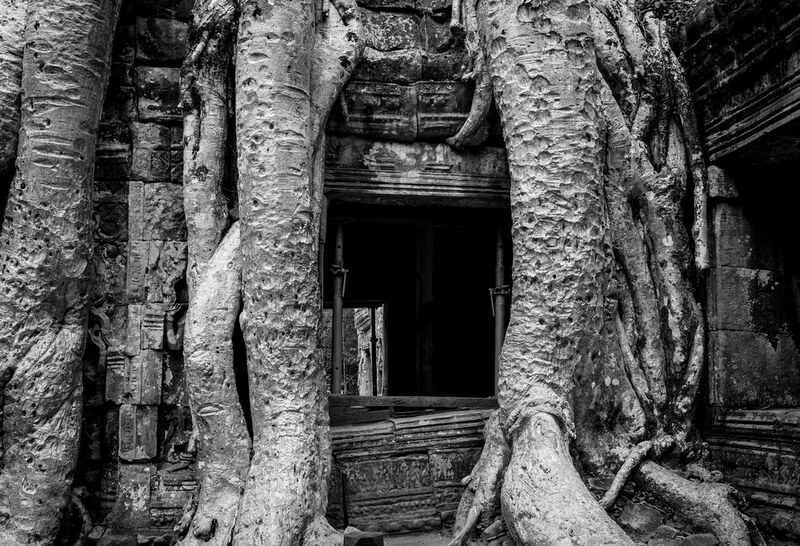 We planned to make an ethnobotanical and photographic pilgrimage to witness the quiet persistence of the ancient Angkor temples overgrown and in some cases held together by colossal trees. The interaction between the built and the grown, the human and vegetal, has become one of FoAM's leitmotifs, so we were excited to finally visit after years of admiration of the site through other people's lenses. Amidst the swarms of noisy tourists we managed to find some moments of silence and emptiness when we could carefully the climb endless staircases, stumble over roots and rocks and crawl through moist tunnels, or just sit and soak up the scenes of vegetal life engulfing history. 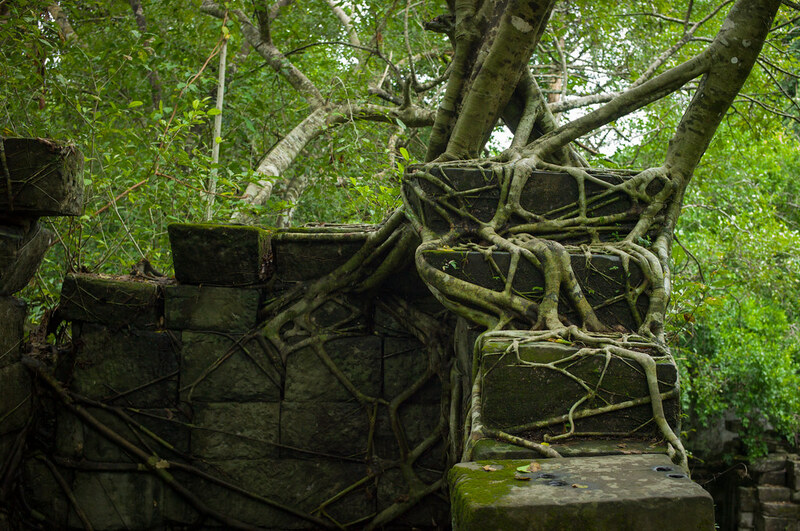 We explored intricately carved ruins dissolving in tangles of fig roots; trees devouring each other; green-tinted light filtering through the dense jungle canopy; the whole experience made viscous by the heat. We walked past headless Buddhas sitting and reclining, sculptures of Shiva transformed into Buddhas transformed into lotus flowers – marks of the many transitions and syncretic “cocktail” religions that coexist in the region. The brutality of periods in ancient and recent history, tangibly imprinted in severed sculptures, misappropriated treasures (many now in French museums), bullet and grenade “decorations” and omnipresent land mine warnings are a stark contrast to the gentle demeanour of the people we met and the values they subscribed to. We observed the tenacity of a people undergoing the slow, difficult process of rebuilding their lives and society in the wake of the devastation wrought by the Khmer Rouge. Indeed, the cultures and the vegetation of southeast Asia could be seen as the embodiment of Aung Sang Suu Kyi's quote that began this post: flexible and adaptable in the face of man-made and natural disasters: in a word, resilient.